Minetest Game (previously called “minetest_game”) is a game for Minetest which is usually distributed along with Minetest by default. It is mostly a big sandbox. Click here for a quick-start guide. 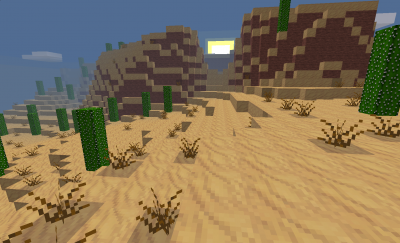 Minetest Game is a simple and peaceful “sandbox game”, this means there are no goals and no built-in computer enemies. 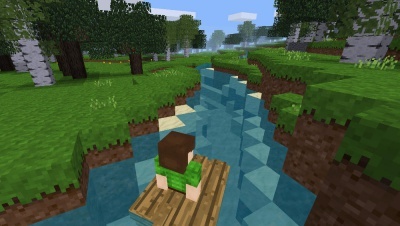 The player is thrown into a world made of cubes and can attempt to explore the surface and hitchhike through grasslands, forests, deserts, jungles, snowy and arctic regions, explore the seas with a boat or swim and dive, and collect various materials and craft tools from them. 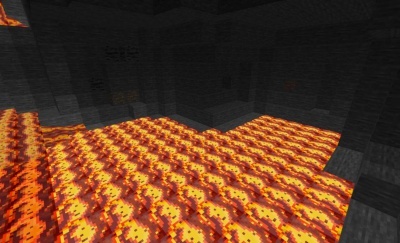 Using a pickaxe, the player can dig into the depths and collect precious minerals, but a careless player can also be cooked by lava. 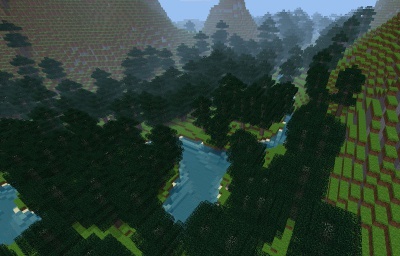 Or the player could become a farmer or forester and plant trees and crops. Almost every block can be removed with the correct tool and with the collected blocks almost every building can be erected—only the imagination is the limit. 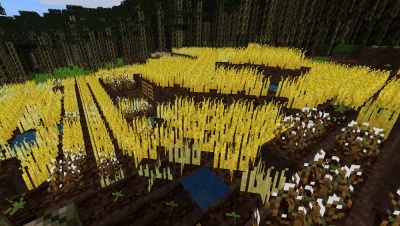 Minetest Game has a focus on creativity, building and exploring worlds, rather than being a challenge, so the gameplay naturally is sandbox-style. 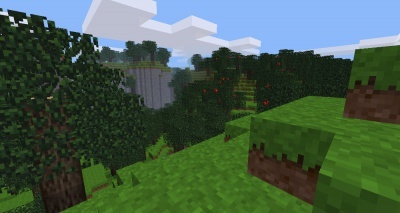 Minetest Game is included by default to give some initial single player content when Minetest is downloaded in the single archive file from the download section of the homepage. It includes some basic mods that add enough game content to offer a simple playable game. Control keys and basic gameplay activities are set to function similar to other games of the genre to make immediate playing possible. Minetest Game is not needed to play on other servers as all game content is controlled and "served" by the hosting server. Only when running an own Minetest server is some playable content needed that is normally a collection of mod scripts in a “game” folder. 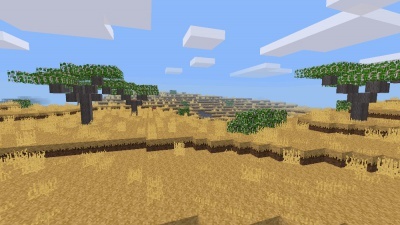 “Single-player” may be viewed as a special case when the local Minetest program acts as local game-server, hosting a local game and then connects to its own self as client. The gameplay can be modified considerably by Lua scripts organized in mods. 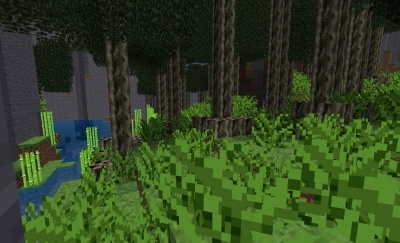 As a lot of mods, offered by the community, name “default” as dependency, Minetest Game is thought as the basic content on which game designers may build their own games. Thus if compatibility with most mods is the aim of a new game, it is advisable to start building the new game by adding content to a copy of Minetest Game. Although this may seem trivial this function of the Minetest game should not be forgotten as it often offers the first example of how to code things for modders. beds: adds beds of several sorts. No monsters, animals or NPCs  are included and no API for these is offered. Since early 2014, Minetest Game (then called “minetest_game”) was semi-officially under feature freeze. It was not dropped and was kept available in maintenance-mode as basis for all mods that depended on "default". The consensus of the Minetest developers seemed to be that Minetest Game should be changed as little as possible (feature-freeze) and rather no new content added. Thus offering the most compatibility to old mods and leaving the bulk of game content for game designers to develop. With the release of 0.4.10, Minetest Game Minetest-NeXt was merged with Minetest Game. 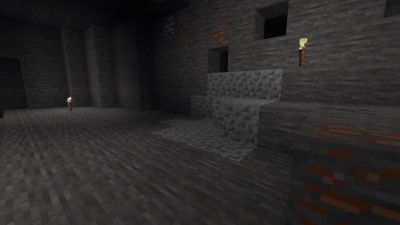 To give more examples of the possibilities of the Minetest engine it had been discussed to include more example games in the download archive. 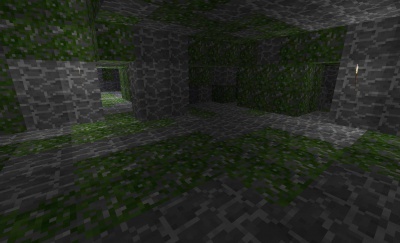 The only other game that was included in the 0.4.9 versions of Minetest was Minimal, which is only recommended for testing purposes. Games suggested as example games have been Dwarves, PilzTest, Nostalgia, Realtest, Eden or a game based on the Ethereal mod. More recently BFD, Minetest NeXt and Carbone have been considered among others. The idea is to showcase a variety of different gameplay, environment and atmosphere concepts. 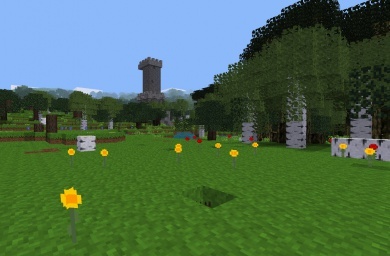 Minetest Game is free software, without advertisements and free of charge. It is licensed under the LGPL v2.1 (or later) for the source code and CC BY-SA 3.0 for the media files. ↑ Though rats might just be able to sneak in if you are not careful ;-). ↑ "Minetest Game will no longer be developed" thread on the Minetest forum. ↑ "(0.4.10) NeXt merged / Updated minetest_game" thread on the Minetest forum. This page was last modified on 25 March 2018, at 18:49. This page has been accessed 34,051 times.